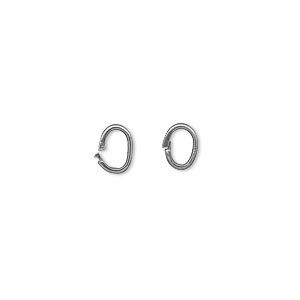 Loop Lock, JBB Findings, gunmetal-plated brass, 10x8mm twisted oval. Sold per pkg of 4. 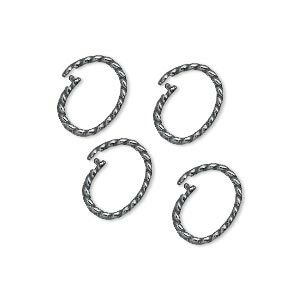 Loop Lock findings are made of gunmetal-plated brass, ideal for connecting links, loops and lengths of chain with a secure "locking" closure. 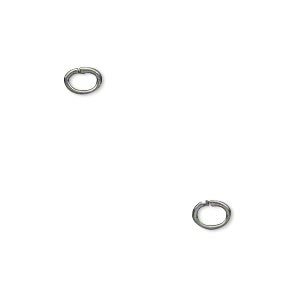 Use pliers to lock each loop. 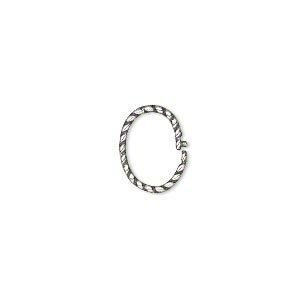 Loop Lock, JBB Findings, gunmetal-plated brass, 12x10mm twisted oval. Sold per pkg of 4. 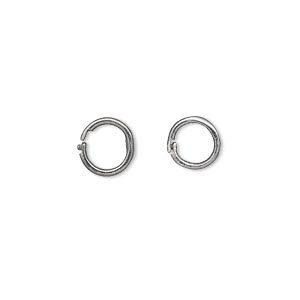 Loop Lock, JBB Findings, gunmetal-plated brass, 5x4mm oval. Sold per pkg of 4. 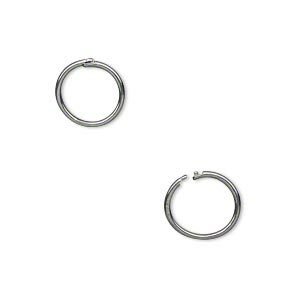 Loop Lock, JBB Findings, gunmetal-plated brass, 7x5mm oval. Sold per pkg of 4. 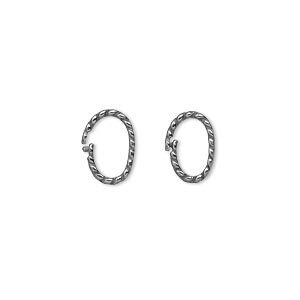 Loop Lock, JBB Findings, antique silver-plated brass, 12x10mm twisted oval. Sold per pkg of 4. 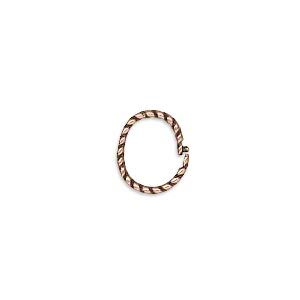 Loop Lock, JBB Findings, antique copper-plated brass, 12x10mm twisted oval. Sold per pkg of 4. 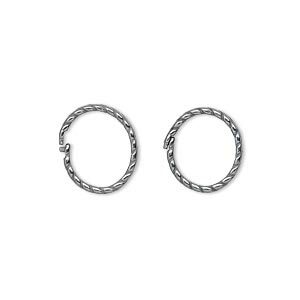 Loop Lock, JBB Findings, gunmetal-plated brass, 12mm twisted round. Sold per pkg of 2. 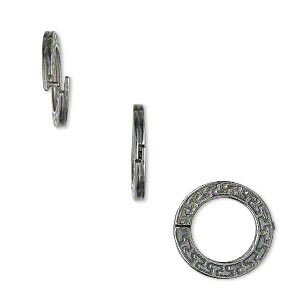 Loop Lock, JBB Findings, gunmetal-plated pewter (tin-based alloy), 15mm double-sided flat round with geometric design and ridged edge. Sold per pkg of 4.